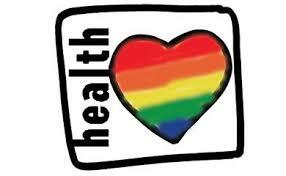 ← Marriage Equality is a Health Issue! Let’s get tobacco smoking out of the closet! Tobacco smoking is the LGBTQ Community’s biggest health burden. In 1964 the US Surgeon General issued the first report on smoking and health – a landmark report that began a process of heightened awareness and action, about the health consequences of smoking tobacco. But it was not until 2001 that the annual report mentioned LGB smoking disparities, and in 2014 the report finally clearly delineated what many LGBTQ researchers and health care professionals already knew — that smoking disproportionally affects all LGBT communities.The American Lung Association has also recognized the urgent health risks of smoking for LGBT people, identifying the LGBT community as a priority population for tobacco control. In addition, we now know that there are many intersecting identities that add to the burden of stress for LGBT people and families, multiplying the health risks associated with smoking. Within our own community, youth, people of color, and people who are economically disadvantaged have a much higher rate of smoking and smoking-related health problems. As a community, we spend more on tobacco every year than is spent on programs to benefit LGBTQ people and famlies. The smoking rate in the LGBT population is 68% higher than the rest of the population. So it is time for all us – smokers and non-smokers alike, to speak out and reach out to raise awareness and participate in positive action. My smoking history is closely tied to my coming out as a lesbian – I smoked for about 10 years, off and on, during the early years of my lesbian life. I cannot tell you which of these experiences was supposedly more closeted for most of those years – being a lesbian or smoking! Some part of me felt that both were bad and struggled to come to terms with both, not ever realizing how closely related the two actually were although of course only one of them was “bad!” Eventually, I began to realize that my sexual orientation was a part of me that I valued, I began to connect with a group of lesbian friends who were out and proud, and finally managed to stop smoking! This story holds a key to understanding how we can all address this issue — we can live out and proud, and support those around us who may be ready to take the really difficult steps to stop smoking! There are effective programs for smoking cessation, but they are sadly underused. In the San Francisco Bay area, “The Last Drag” program offers free smoking cessation course 4 times a year .. the next session starts on April 1! If you can’t find a local LGBT-focused cessation program, the American Lung Association offers help for all! If you know of something that might help other LavenderHealth readers, share your comments and ideas here! We welcome any and all suggestions! Click image to download this Infographic from LGBT Healthlink! 1 Response to Let’s get tobacco smoking out of the closet! Bravo, Peggy Chinn. Many of our social institutions (e.g., the bars) foster unhealthy behaviors, like smoking, so it gets complicated.